Malaysia Airlines (MAS) will drop flights to Brisbane and reduce frequencies other Australian ports from the start of August in the latest round of network changes as part of the airline’s transformation plan. The oneworld alliance member will cease operations to the Queensland capital from August 08, ending a daily service currently operated by Airbus A330-300 aircraft. Meanwhile, MAS’s Kuala Lumpur-Perth offering will be cut to a daily service, from 12 times a week currently, Melbourne and Sydney will be reduced from three times a day to twice a day, respectively, and Adelaide will be trimmed to four times a week. All changes were due to take place from the beginning of August. “Malaysia Airlines has revised its flight network in Australia to focus on profitable destinations and services as part of the restructuring program that owner Khazanah, Malaysia’s sovereign fund, commenced last year,” a MAS spokesperson said in an emailed statement on Thursday. MAS is the second airline to withdraw from Brisbane in recent times, after Garuda Indonesia dropped its Brisbane-Denpasar service in January. The Airline Route website also reported service reductions on other parts of MAS’s Asian network, with frequency cuts to Guangzhou, Ho Chi Minh, Hong Kong, Manila, Siem Reap, Taipei and Yangon. And the airline’s daily flight to Male has been cancelled. 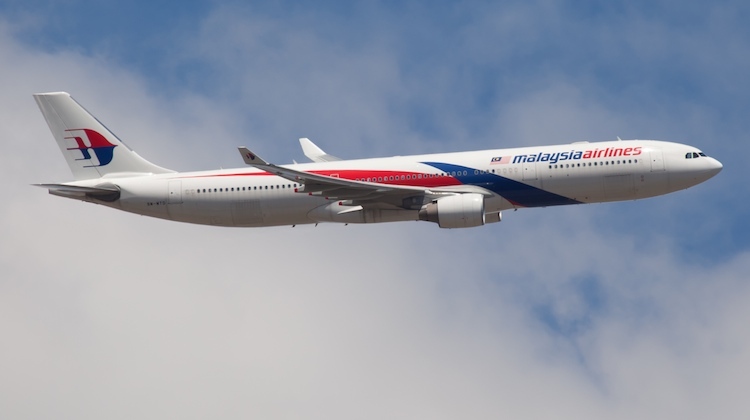 New MAS chief executive Christoph Muller has been tasked with turning around the ailing carrier, which has suffered heavy financial losses in recent years and faced a double tragedy in 2014, when MH370 disappeared enroute from Kuala Lumpur to Beijing and MH17 was shot down over Ukraine on the way from Amsterdam to the Malaysian capital. In addition to other recent frequency cuts – for example service to Frankfurt ended in May – MAS was looking to offload at least two if its six-strong fleet of Airbus A380s and dispose of other excess aircraft in a bid to return to profitability. MAS has issued termination notices to 6,000 of the airline’s 20,000 staff, with the remaining 14,000 offered jobs as part of a rebranded “new” airline due to take flight on September 1. Mueller acknowledged recently MAS was currently “too big”. “But we are working on that,” Mueller told delegates at the International Air Transport Association (IATA) annual general meeting on June 8. The new MAS chief executive also raised the prospect of a new hybrid product when the airline relaunched in September, with a full-service offering on business heavy destinations and a more limited service for more leisure-oriented markets. For example, Mueller said the airline could sell a business class ticket but allow passengers to opt out of access to the airline’s airport lounges or the ability to earn frequent flyer points. While Mueller told delegates there was “some interest” in two of MAS’s A380s, he declined to offer any details. Surely another potential QANTAS opportunity, especially considering the negative public sentiment toward Malaysian Airlines due to the unfortunate MH17 and MH370 tragedies. Daily A330s to KL and SIN supporting oneworld alliance and the companies own international expansion. Given PTH is already an A330 hub and noting there are still more A330s to transition back from Jetstar, I would think this is a no brainer. Plus QANTAS would be on the front foot for market share as the B787s arrive. Do you mean PER? PTH is Port Heiden in Alaska. I’m not sure that there is much of an Australian market to Kuala Lumpur. Most of MH’s business has always been through travel to Europe. I think Jetstar would be far more likely to take up flights to KUL as the only other competitor on the route is Air Asia X so you’d have low cost vs low cost. what about the DRW-KUL service. will there be reductions for them to?? acknowledge also the point about the MAS through traffic to Europe and the fact that AirAsia is a “cheap” alternate. A competitive A330 service could provide the codeshare link PER to KL to link with the MAS flight KL to Europe given most of these flights still remain. Granted that Jetstar provides a “cheap” option for the leisure market and would combat AirAsia on price and operating costs, however I would suggest that ex PER their be enough premium business and leisur to at least have a satisfactory premium load factor given MAS sustained 12 flights a week. There also comes a point whereby a short term marginal load factor and profit per seat margin could be sustained in order to re-establish the Red Roo product in the market ready for B787 introductions and expansion – possibly even an alternate route through to Europe. This is a chance for Qantas to finally discover Adelaide as an international destination to either Singapore or Malaysia. There are so many people who choose to totally avoid Qantas for domestic flights as they do not offer the service of International ex Adelaide to Asia.